It's been a fun and exciting summer around here! Wisconsin summers might just be the best, of course I could be a bit bias since I'm from Wisconsin ;) The weather has been nothing short of amazing and the days long and filled with laughter and love. I am so excited to bring all sorts of Wisconsin beauty to the blog! 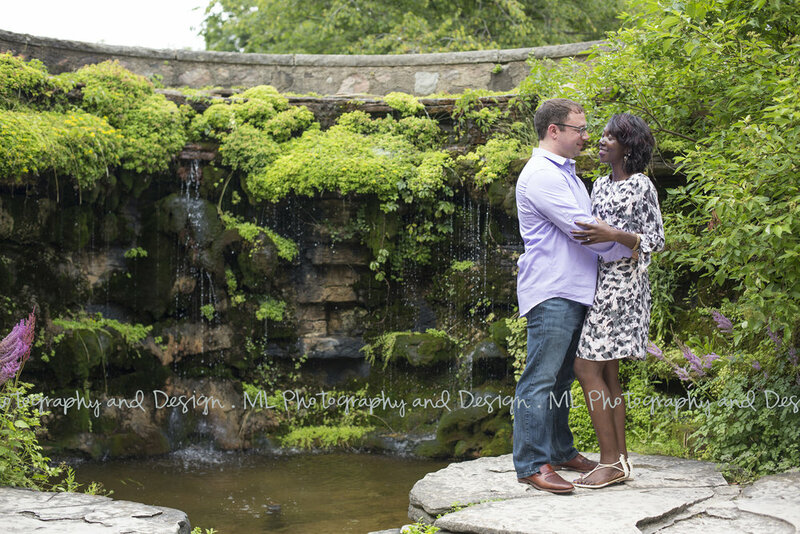 Such a sweet moment in the Boerner Botanical Gardens! 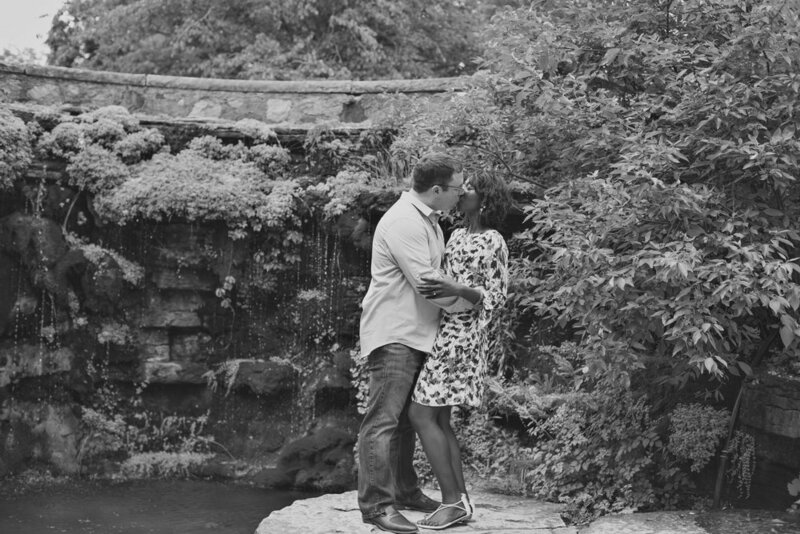 We were able to walk all around the gardens as well as part of Whitnall Park during our time together. Matt & Agnes were troopers through the humidity & mosquitos! I'm always thankful for clients who love to go on adventures during their sessions. There are so many little trails to go down in the gardens as well as the park. Makes it hard to choose just a few to go down! Some of my favorite spots in the gardens is the large open field that has trees, shrubs, and flowers along the edges and the water fall. The water fall is a lovely little nook for photos. These two are having a destination wedding next year and I am SO thrilled to be tagging along for it! Their engagement photos will capture the beauty of Wisconsin and their wedding photos will capture some clear blue water & white sandy beaches! Here's a little slide show of our time at the gardens! 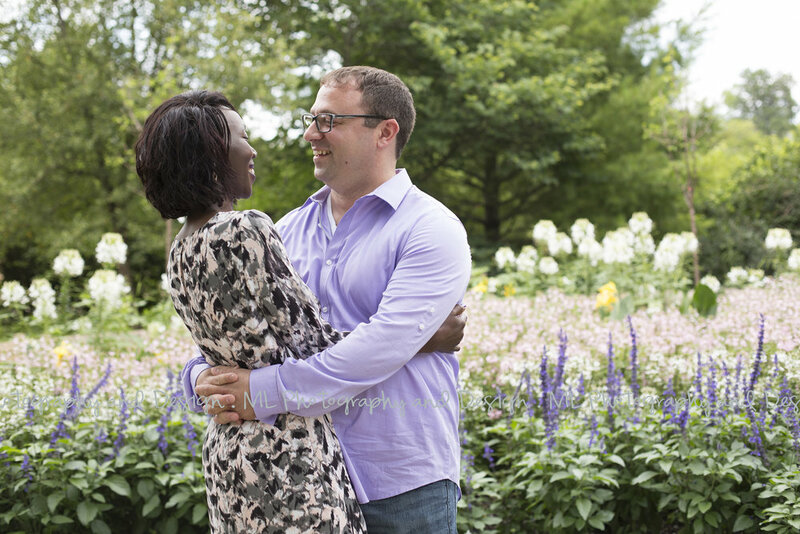 Matt & Agnes, thank you for the lovely evening in the gardens! Can't wait to capture your big day! Newer PostWhat to wear to your family photo session?! Older PostWhat's in a photo?